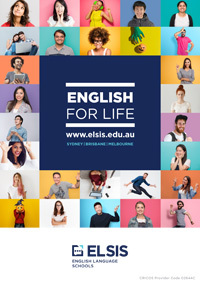 Sign up for a free two-hour trial English lesson at ELSIS. At ELSIS we welcome you to join our classes for free! Free trial lessons allow you to experience the school culture and the class environment before enrolling at ELSIS. On arrival for a trial lesson you will be interviewed and placed in a class that suits your level. Our experts can help you with your academic plans and guide you to courses that meet your needs and expectations, so book your free lesson today! We look forward to seeing you at ELSIS.